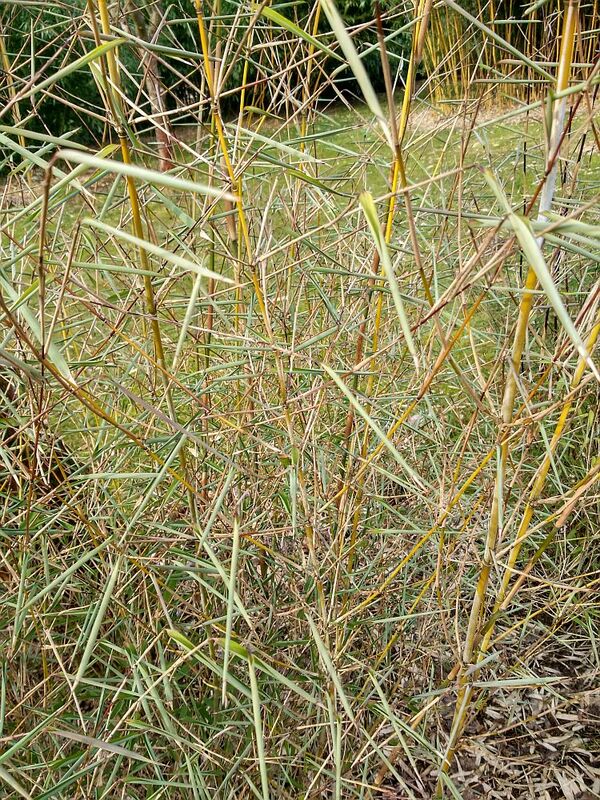 I just thought I would start a thread dedicated to this plant. Here it is newly planted in May '17. And here are shots as of today. That's a fine plant, I received a near dead one that I quickly killed about 10 years ago and mine never looked that good! Gorgeous color on that culm and sheaths! I have a couple here now but man they are slow. Not many people here in Canada to give me their feeback either on how they have been growing it. Only one other friend I know has it. What growing conditions has yours been in ? Sun or shade? What soil? Hi Kailey, Please excuse the late reply. My plant is growing in full sun and didn't suffer any damage during our summer heatwave (about three weeks of 77F to 86F). I have not tested the soil ph, but judging by what grows here, it will be neutral to acidic. And of good quality. 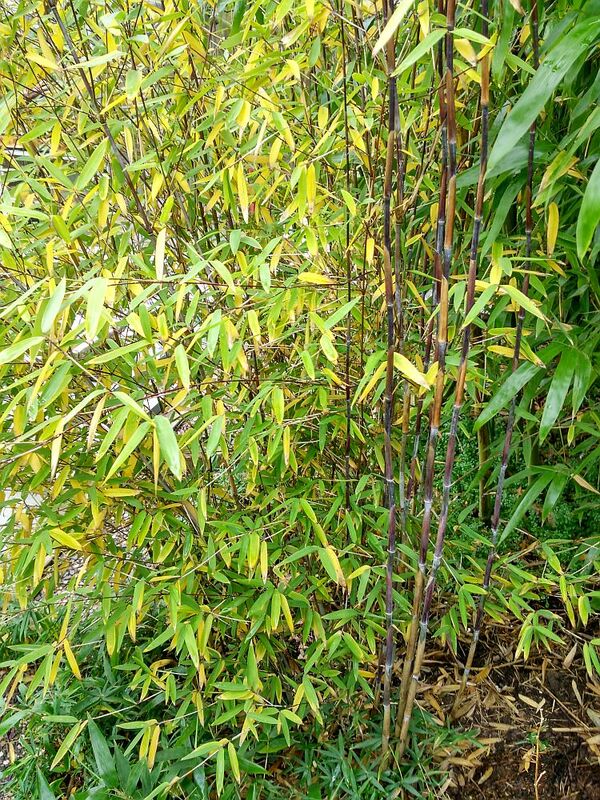 It is planted below a bank where a Phyllostachys has rained down its litter for the last four or so years. The plant has upsized nicely, but did produce only four new culms which are slow to leaf out. Hope this helps. It helps to know that it can take full sun. I have one of mine in deep shade and the other is in the greenhouse. I’ll probably find a brighter spot for it. Kailey - Part sun might be wiser for 'Gerry' in your area due to the lower summer humidity. Iain is in a cooler and more humid Scottish climate, I suspect it would take full sun here too. Maurice Foster of the RHS was here two weeks ago and he could not believe how humid it is here, this despite a drought. He hails from Kent which is one of the driest areas of England, if not the driest. Once established you can propagate it and try it in several different locations. 24c, will it ever rain? John, I wish it wasn’t so slow to get going for me or else I could divide and propagate. It would be nice to get this one in the Bamboo community here in Canada. Seems like there is only a couple people with it. Raining here LOTS! It was like someone switched a switch and went from drought to flood. That really looks to be doing far better then mine. I’ll have to move it and give the sucker more light. I was wondering if your plant defoliates during the winter as mine retains most of its leaves. Having to produce fresh foliage each spring would slow maturity, I would have thought? No mine does not defoliate. My plant is in place now for serveral years. At the beginning it was in full sun, but now it has shade most of the day because of a gigantic robusta 'Wolong'. It is not slow and I take 10 to 15 cuttings every year. However the plant defoliates to about 70-80 percent every late autumn. Hight is 3 meters and width 1.5 meters (despite doing cuttings regulary). 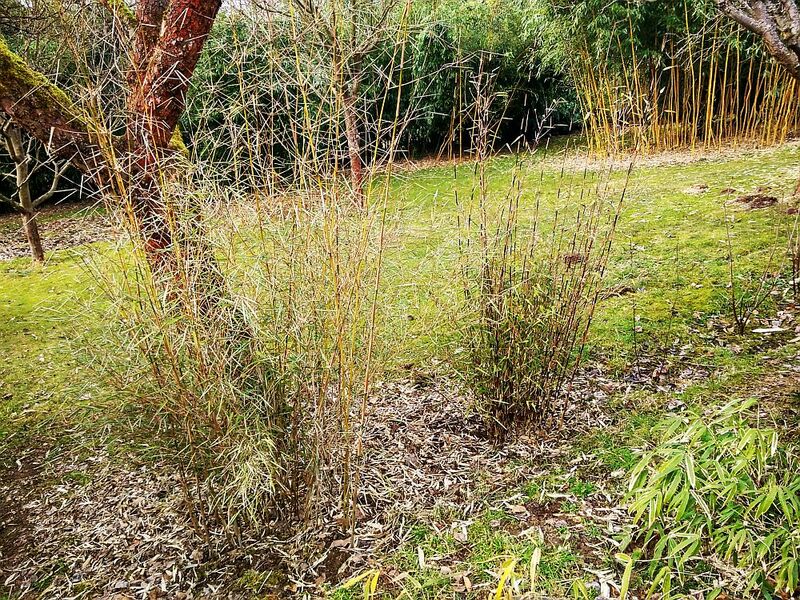 Location: My plants grows in Prague and another 3 places in The Czech republic, zone 6.
the plant defoliates to about 70-80 percent every late autumn. The same my plant. Growing in full sun is going well. Another demissa clones growing in halfshade are rolling leaves during the winter. Keep more leaves than demissa G.
Photo - demissa D and F in winter. 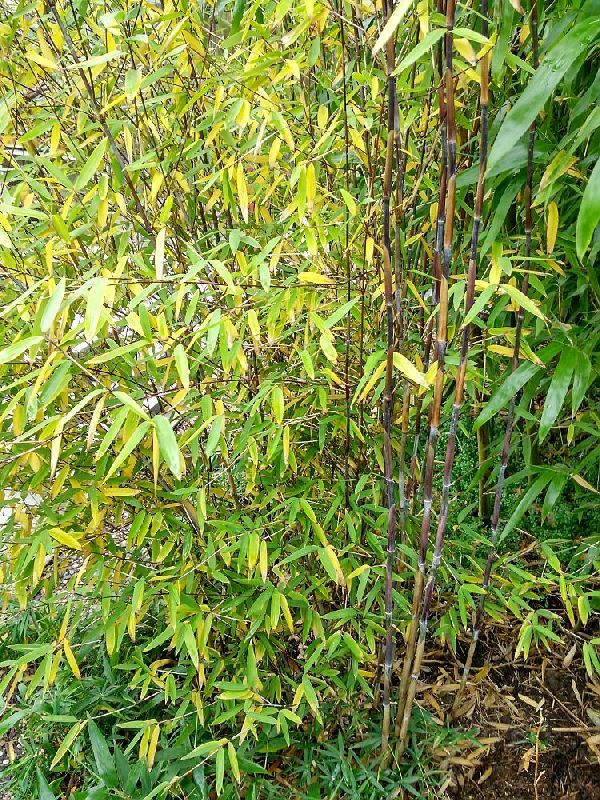 I am engaged in pages about hardy bamboos in Czech language - http://bambusy.info/.